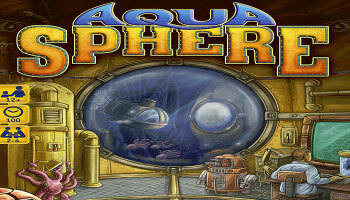 Welcome to the research team on the mission to AquaSphere, an underwater research station. Your task is to recover and analyze a novel kind of crystal, as well as to conduct further research. You have been granted a limited amount of time in the station. In order to succeed on your mission, you will be provided access to the latest models of research bots. Program these bots according to the task at hand and use them efficiently in the various sectors of the station. You will be assigned a lab with basic equipment - if the available capacities do not suffice, feel free to expand your lab. Keep in mind, your team is not the only one present. If you don't recover more crystals, place more bots in the station, and gather more data than your competitors, your research contract may not be extended. Finally, some advice: your presence will attract octopods, which may break into the station. Remove them promptly; otherwise they may interfere with your bots and obstruct operations. News from the depths! The AquaSphere is a research facility stationed deep below the ocean's surface, and your skilled team - consisting of an engineer, a scientist, reprogrammable bots, and exploratory submarines - is trying to gather as much data as possible. Through actions such as improving your lab, sending out submarines, collecting crystals, and examining octopuses, you expand the abilities of your team or gather knowledge points, which are necessary to win. Additional challenges result from the limited size of your lab, which is your personal stock; you can increase the size of your lab, which makes life easier, but this costs valuable time.